There are nearly 20 players set to hit arbitration when the hearings take place in Toronto from July 20 to August 4 and the NHLPA has released the schedule for those meetings. There are a couple of big arbitration hearings worth nothing, including a few that saw the NHL teams actually choose arbitration over signing their particular player to his asking price. The teams and the players will present their respective cases at the hearing in a bid to determine what the most fair contract value is for the player. As we’ve discussed in previous years, the process can be a tough one for the players and the teams as the presentation of evidence as to the players’ effectiveness can get a little tricky. Teams typically try to lower the contract value before the arbiter, while players try to raise it. Also, the team’s salary cap is irrelevant in determining this value. 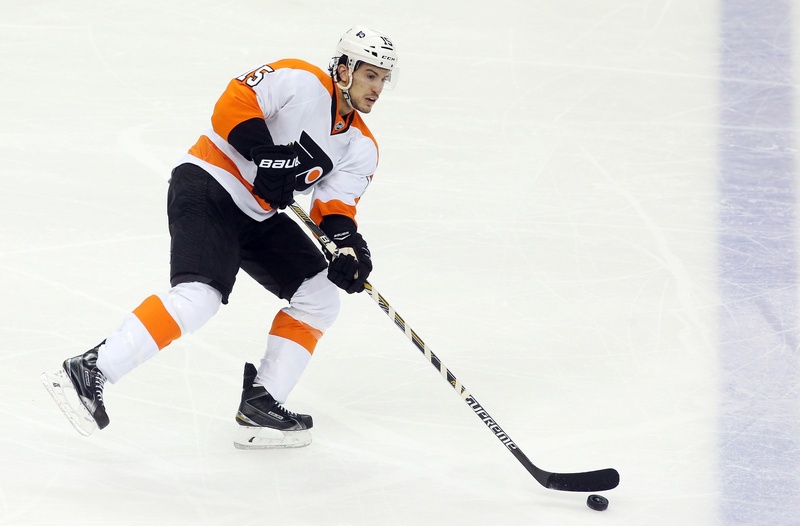 Among the hearings worth noting, the Philadelphia Flyers and defenceman Michael Del Zotto will have their go-around on July 21. The Flyers can reject the contract if it’s over $3.5 million, which in this case would mean Del Zotto would become an unrestricted free agent on the spot and able to negotiate a deal with any NHL team. The Washington Capitals are headed to arbitration with Braden Holtby and Marcus Johansson, with the netminder expected to win big dividends at the July 23 hearing. He played in 73 games last season, the most out of any NHL goalie in 2014-2015, and he finished fourth in Vezina voting. That could spell a big payday for Holtby, which in turn could shuffle the deck for the Capitals if they walk away. Also, the New York Rangers and Derek Stepan appear headed to arbitration. This is one of those cases where advanced statistics will be used by Stepan’s representatives to boost his case for a higher salary. Arbitration hearings can now use “any statistics kept by NHL.com,” which opens up some doors for the players and teams going forward. Finally, the Toronto Maple Leafs have elected to file for arbitration on goalie Jonathan Bernier. This is one of two “club-elected” hearings, with Justin Schultz and the Edmonton Oilers the other. There have been rumours of trouble between the Leafs and Bernier for a while now and the July 31 hearing won’t do much to dispel them, but there is the distinct possibility that the two sides could settle before them. Indeed, that possibility exists in all cases of potential arbitration going forward. Most teams and players agree that the looming arbitration dates should be avoided and sometimes things work out nicely. Remember that in 2013, there were 21 players headed for salary arbitration and only three wound up taking the plunge.